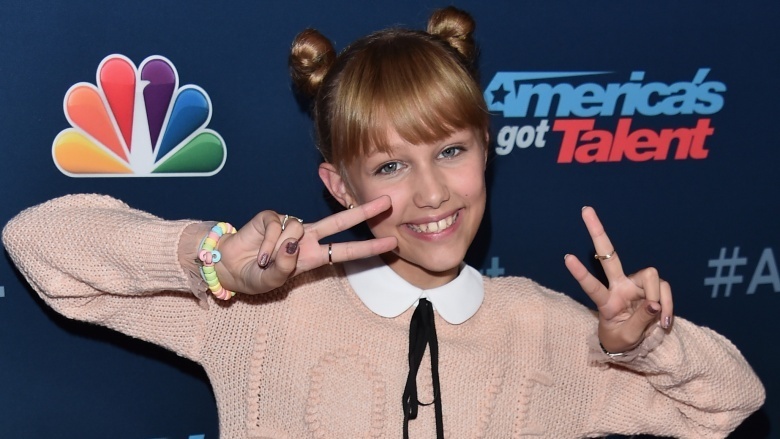 Grace VanderWaal, crowned winner of the 2016 season of America's Got Talent (AGT) has…well, got talent. She's got very serious talent. 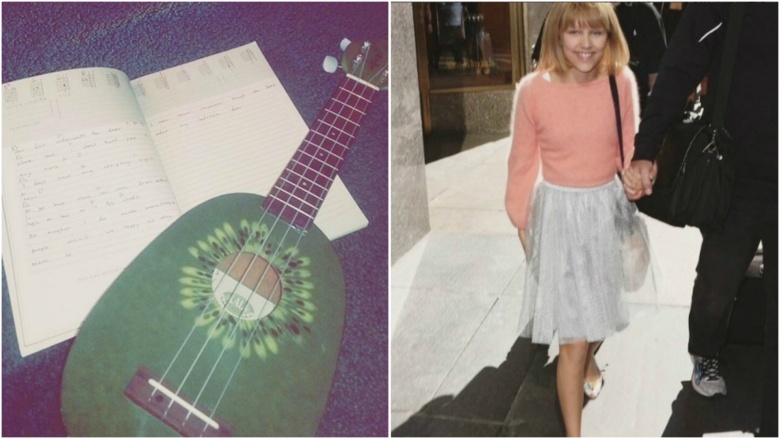 The young singer started writing songs by age four, used her allowance to buy a ukulele for her 11th birthday, and, by the age of 12, had already produced original tracks, such as "Clay." Notoriously critical talent judge Simon Cowell dubbed her "the next Taylor Swift," so as VanderWaal's embarks on her post-win publicity blitz, it's high time you brush up on this fast-moving new talent. Vanderwaal was born Jan. 15, 2004 in Lenexa, Kan. and moved to Suffern, N.Y. in 2006. According to The Kansas City Star, she was writing songs and learning piano by age four and, in addition to ukulele (which she reportedly taught herself to play in "a few weeks" using YouTube tutorials), she also plays plays saxophone in her school's marching and concert bands. VanderWaal's parents reportedly encouraged her to dabble in the local music scene by playing open mics at local cafes, but AGT was by far her biggest crowd. With just her ukulele and signature vocals, VanderWaal's simple YouTube videos are delightful beyond her ears. Her version of "Frosty the Snowman" rivals the classic, and her back porch rendition of Elle King's "Ex's and Oh's" has garnered nearly 3.9 million views and counting, followed closely by a laid-back cover of Meghan Trainor's "All About That Bass," which she croons while wearing a unicorn headband. VanderWaal originally had her sights set on another talent show. 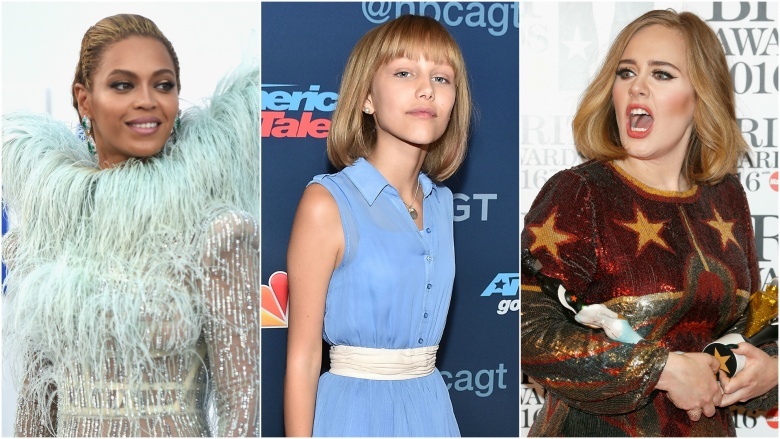 "It's always been a dream to audition for American Idol," the pre-teen told Teen Vogue. "But you have to be 15 or older. And as you may know, [the 2016 season was] the last season…And then one day my mom just called me downstairs and she had her laptop out and was like, 'I signed you up for America's Got Talent.' Just like that. And then the next weekend I auditioned." That audition, of course, was a hit. VanderWaal sang an original song. YouTube footage of her tryout has attracted more than 46 million views. If you weren't crying yet, don't worry; there's still time. Just watch the clip above. In July 2016, just a month before heading out to Los Angeles to participate in AGT's live segments, VanderWaal performed for her hometown crowd at the Lafayette Theater in Suffern, NY. The house was packed, with a line stretching out the door and around the block. For many folks, VanderWaal's talents were a new and exciting surprise. Prior to AGT, she said most of her social circle knew nothing about her musical aspirations. According to The Journal News, "For the most part, she has kept her musical side to herself, to the point that most of her schoolmates weren't even aware she could sing until the show aired." How does she deal with potential stage fright in front of those ever-growing crowds? During a Q&A with her newfound fans, she admitted her lucky talisman is a candy bracelet. Shortly after winning AGT, musician Jason Mraz reached out to VanderWaal on Twitter: "You are such a lovely person. The future of music is in good hands." The praise didn't stop there. "I look forward to collaborating with you," said the "I'm Yours" star. Vanderwaal responded in kind. "Collaborating would be so amazing, thank you so much!" she said. "You are an inspiration." Other celebs who have thrown their star status behind VanderWaal include Reese Witherspoon, who tweeted, "Wow, this girl is amazing!" To which VanderWaal replied, in all caps, "OMG Legally Blonde is my life! I love you so much!" Both Katy Perry and Justin Bieber have also voiced their approval. Perry told her to keep playing and writing, and Bieber (via Gossip Cop) shared an Instagram video clip of the show and said, "This girl is 12…I'm out. Love this." Even Taylor Swift herself reached out to the up-and-comer with a congratulatory bouquet of flowers. VanderWaal filmed the occasion and shared it on Twitter. Billboard reported in September 2016 that VanderWaal had been signed to Columbia Records, the same label as megawatt singers Adele and Beyoncé. AGT judge Simon Cowell told Billboard, "It's a lot to take in, but I've got to hand it to her. She's a very smart, calm, focused girl and I think she knows what she wants to achieve and what we always say to artists in this situation is it's not a race." He said VanderWaal would participate in a three-show residency in Las Vegas with other AGT contestants, but had "bigger" things on the horizon. "There is something [else in the works]." he said. "A much, much bigger announcement coming soon…"
Instead of blowing her AGT prize money on typical Hollywood fare, VanderWaal told People she intends to donate some to charity and, lest we forget she's just a kid, she also wants to appear on Treehouse Masters to commission a place of her own. She told Access Hollywood (via the Daily Mail), "I'm so excited! I want two baby treehouses for me and my sister with like rope bridges and zipline, everything! So we can like have sleepovers." It appears that this dream may also come true because Treehouse Masters host Pete Nelson tweeted a video response to VanderWaal. "We could do that. We could be at your house tomorrow. Bridges, zip lines—the whole thing," he said. "Congratulations…And call me." After spending so much time being mentored by AGT's Cowell, it's no wonder VanderWaal can do an amazing impression of him. When talk show host Ellen DeGeneres asked her what Cowell meant by calling VanderWaal "the next" Swift, she answered the question with Cowell's British accent. "He was just like, 'And that's what I meant when I called you the next Taylor Swift. Not because you look like her, not 'cause you sound like her,'" VanderWaal said. "And he said it's because he's worked with Taylor Swift, and she's strong, and knows her opinion, and he said that's how he feels about me." 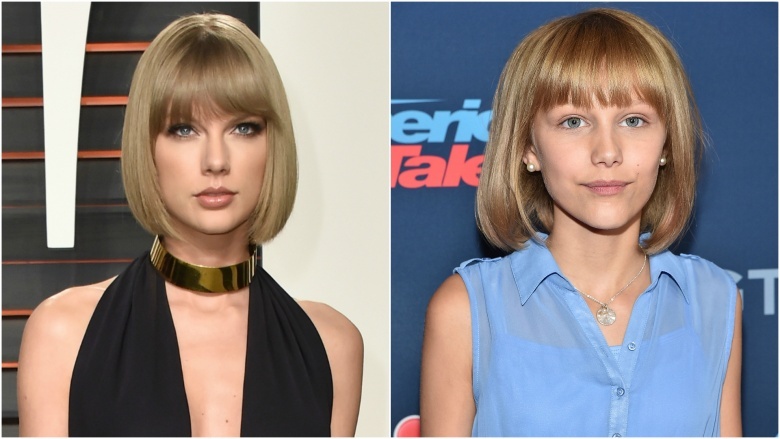 she added.d the judge for talk show host Ellen DeGeneres , she answered one of the questions on everybody's mind—what it feels like being compared to Swift, and being called "the next" Swift. Brace yourself: during a September 2016 appearance on The Tonight Show Starring Jimmy Fallon, VanderWaal didn't know who 'N Sync was. During a segment where Fallon stuffed marshmallows in his mouth and made VanderWaal guess what song he was singing, he tried "Bye Bye Bye." After a few fruitless guesses, a frustrated Fallon spit out the marshmallows and told her the name of the song. A confused VanderWaal replied, "What?" as the crowd laughed. Fallon responded, "I'm so old, so old." VanderWaal apologized. Fallon said, "Listen to it. It's an oldie, but a goodie." People caught up with VanderWaal in the weeks after her big AGT win, and when asked what she likes to do in her free time, Vanderwaal said, "Whenever people ask me this, I kind of realize how bland I am!" She laughed, "I like to read. I like to hang out with my sister. I like to ride my bike a lot. I like to bike to my friends' houses and they always tell me how crazy I am to bike to their houses. That's really about it." Vanderwaal said her friends have been supportive of her career. "All of them after a performance are like 'You did great!' and then they go back to normal," she said. "I really appreciate that."